does it matter whether you and your partner buy property together before or after marriage? There isn’t a difference. If you buy property together without being married, you will probably be considered being in a de facto relationship. A de facto relationship is defined in s4AA of the Family Act, and there is almost no difference when property settlements are considered at the breakdown of a marriage or a de facto relationship. Nowadays many couples decide to buy a property together before they get married, or they choose not to get married at all. There are many reasons for this. Some couples regard it as an investment; others want to have a home to move into once they get married, or they want to live together before they get married. Some choose rather spend the money that would be spent on a wedding on a home deposit. Whether you buy property together to secure a home before you get married or to show your commitment to the relationship by signing a joint loan for the next 30 years, it is important to protect your rights should the relationship come to an end. Buying a property is a significant act. Inherently it is not any riskier buying property together in a de facto relationship than in a marriage. The only issue could be the jurisdictional issue of proving that you were indeed in a de facto relationship with your partner. This could be very relevant if the relationship breaks down. A good way to protect your and your partner’s rights is to enter into a Financial Agreement. Set out the terms of your agreement and how the property will be divided if your relationship breaks down. This might not be an easy conversation, but you have to discuss this before you buy a property together, regardless of whether you plan to get married for not. You may, for example, decide that you will each take out what you contributed initially and then divide the balance equally. Things can get a lot more complicated when family members contribute to the purchase price or signed as a guarantor for the loan. In such situations, it is even more important to set out the terms of your agreement. The best way to protect your rights is to register your name on the title deed. This gives you rights under State property law as well. If you contribute towards the purchase price or to mortgage payments ensure that you are on the title deed. Keep records of all your contributions to the deposit, legal fees, conveyance costs and stamp duty. These records will be valuable if there is a dispute should the relationship break down. If you are considering buying property with your partner, whether you are married or not, you should find out how to protect your rights if your relationship comes to an end. 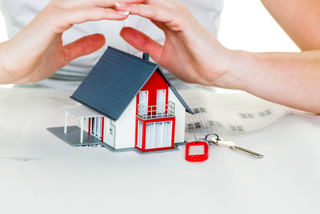 A family lawyer with experience in this field can help you to best protect your rights when buying property together.